A core principle of CREATE’s 2018-2021 Strategic Plan is that partnerships with government, NGOs and individuals are pivotal to our success. CREATE partners with other organisations on reports to help highlight the voices of children and young people to the decision makers who shape the out-of-home care system. This booklet profiles conversations with young people regarding the Third Action Plan (2015-2018) of the National Framework for Protecting Australia’s Children 2009-2020. 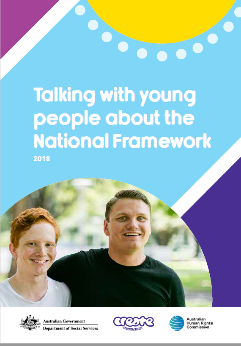 The National Framework was put together by the Australian Government and all state and territory Governments, to improve the safety and wellbeing of children and young people. CREATE partnered with the National Children’s Commissioner to talk with young people around Australia about a range of issues, including support for young parents and support for young people transitioning from care to adulthood. 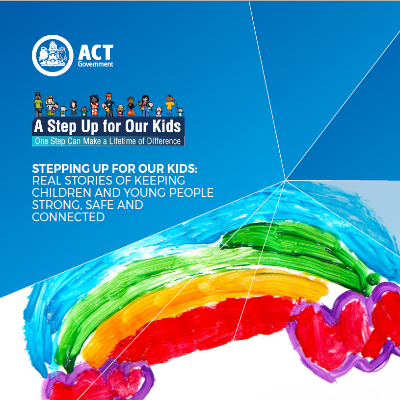 This publication showcases some of the positive outcomes achieved under the ACT’s five year out of home care strategy A Step Up for Our Kids – One Step Can Make a Lifetime of Difference. The focus is on highlighting the voices of those with lived experience of the child protection system.